Welcome to the "Influencer: CREATIVE" program! Start your 10-day FREE TRIAL on this page! SELECT YOUR CHOICE OF $99/MO OR $997/YEAR. Each program comes with a 10-day FREE TRIAL! 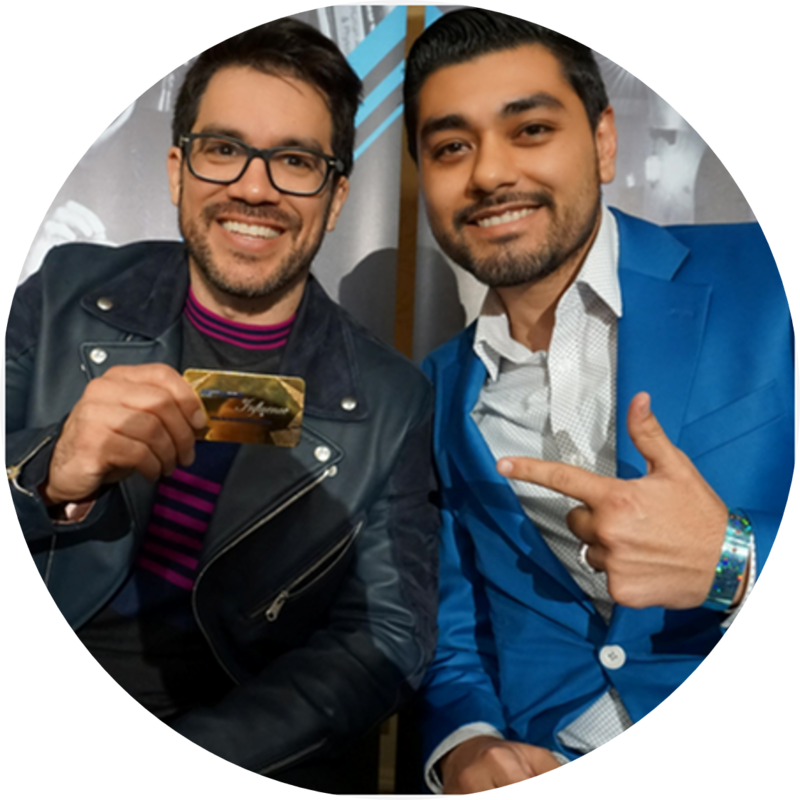 Take our program for a spin and if you select the YEARLY option, you will get a 1 on 1 call with our CEO, Manny Lopez, to learn how you can truly utilize the "Influencer: CREATIVE" program! - 24/7 Access to Manny's digital coaching programs with username/password including: "MANNYfestation School of Business", "FB Simplicity", "How To Monetize Your Facebook Profile" & more! - Universal SMART App Dashboard to build & customize a STREAMING mobile app! 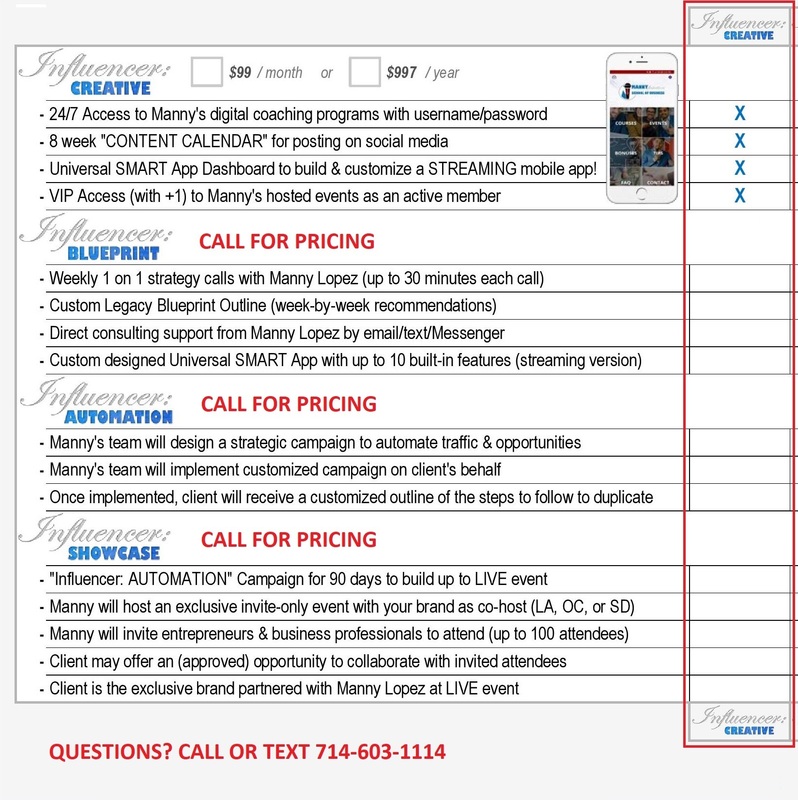 If for any reason within the next 10 days are you not fully satisfied, even AFTER your call with Manny Lopez, let us know and you WILL NOT be billed your monthly or annual subscription and we will cancel your program. B.R.A.S.C. Webinar, Facebook, Manny, etc.